The Beatles third studio album, released in 1964, A Hard Days Night was a hugely influential album. Wear this sterling silver and hand painted enamel album charm featuring a detailed album art print with clear enamel overlay, as a moment of musical greatness. Compatible with Pandora brand bracelets. The Beatles studio album released in 1969, Abbey Road is one of the most iconic and instantly recognizable album covers in all of music history. Wear this sterling sliver and hand painted enamel album charm featuring a detailed album art print with clear enamel overlay, as a moment of musical greatness. Compatible with Pandora brand bracelets. No matter the time or the place, these words are as relevent today as they were on the day they were first sung. 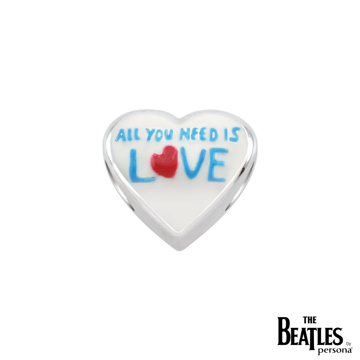 Wear this beatuiful sterling silver and hand painted enamel The Beatles by Persona heart charm as a reminder to keep filling the world with love! Compatible with Pandora brand bracelets. The originators of the apple icon, The Beatles released their beloved music under their record label - Apple Records. Be a part of the music history with this sterling silver and hand-painted enamel green apple charm featuring The Beatles logo. Compatible with Pandora brand bracelets. 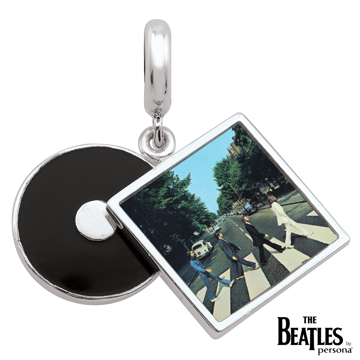 The Beatles crossing Abbey Road featured on this charm, is truly beautiful. 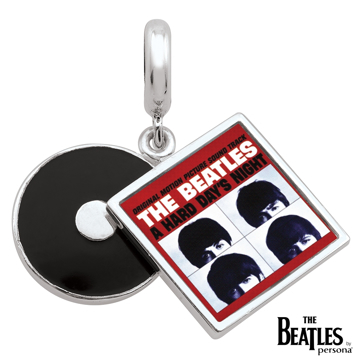 Etched in sterling silver and hand-painted in black enamel this charm is one for the true Beatles lover! Compatible with Pandora brand bracelets. 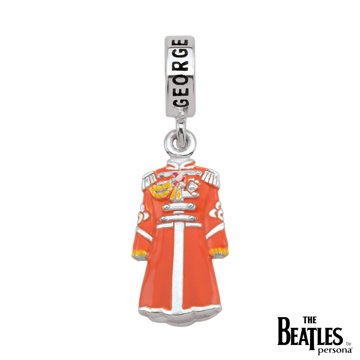 This sterling silver charm features the iconic orange jacket worn by George Harrison for the Sgt. Pepper's album. 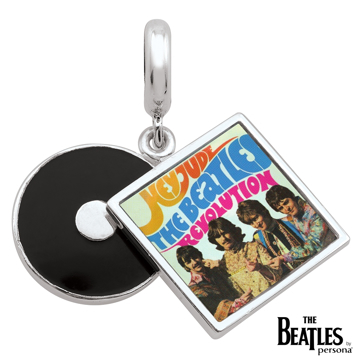 An intricate replica in silver with hand-painted enamel, this charm is the perfect addition to any charm collection for the true Beatles fan. Compatible with Pandora brand bracelets. This sterling silver charm features the iconic green jacket worn by John Lennon for the Sgt. Pepper's album. 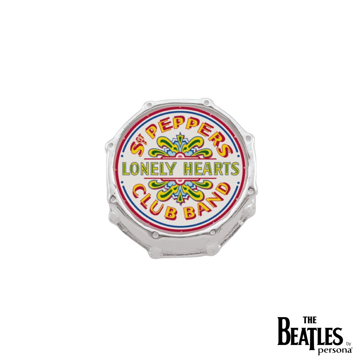 An intricate replica in silver with hand-painted enamel, this charm is the perfect addition to any charm collection for the true Beatles fan. Compatible with Pandora brand bracelets. The Beatles twelfth and final studio album, Let It Be was released in May 1970, almost a month after the band had already broken up. Wear this sterling silver and hand painted enamel album charm featuring a detailed album art print with clear enamel overlay, as a moment of musical greatness. Compatible with Pandora brand bracelets. Love, Love me do, you know I love you! 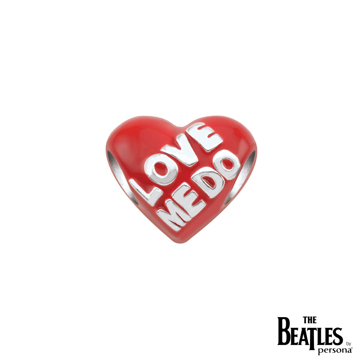 This sterling silver and hand painted red enamel heart charm features the sing title love me do, one of the earliest Beatles hits! 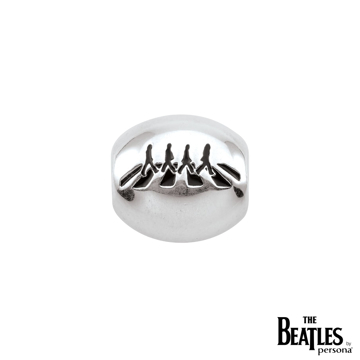 This sweet and amourous charm makes for the perfect gift for any Beatles lover. Compatible with Pandora brand bracelets. This sterling silver charm features the iconic pink jacket worn by Ringo Starr for the Sgt. Pepper's album. 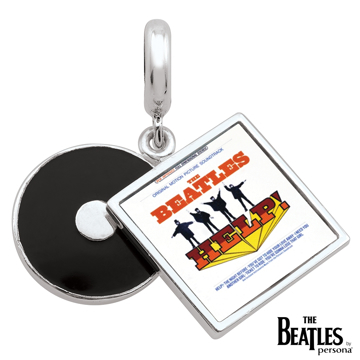 An intricate replica in silver with hand-painted enamel, this charm is the perfect addition to any charm collection for the true Beatles fan. Compatible with Pandora brand bracelets. he Beatles eighth studio album, released in 1967, Sgt. Pepper's is one of the most popular Beatles album and stayed at the top of the charts for 22 weeks. Wear this sterling silver and hand painted enamel album charm featuring a detailed album art print with clear enamel overlay, as a moment of musical greatness. Compatible with Pandora brand bracelets. The most iconic image from the Sgt. Pepper's album is the iconic logo featured here on this sterling silver charm. Commemorate the milestone of 50 years of great music with this Sgt. Pepper's Drum. 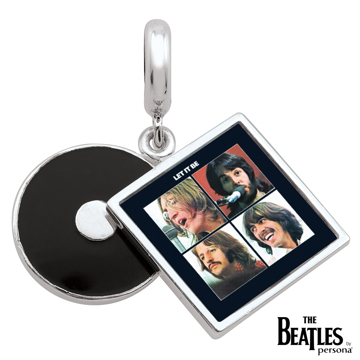 The perfect addition to any charm collection for the true music lover. Compatible with Pandora brand bracelets. This sterling silver charm features the iconic blue jacket worn by Sir Paul McCartney for the Sgt. Pepper's album. 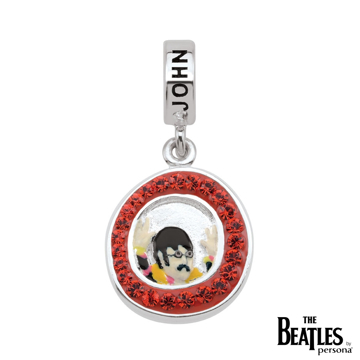 An intricate replica in silver with hand-painted enamel, this charm is the perfect addition to any charm collection for the true Beatles fan. Compatible with Pandora brand bracelets. 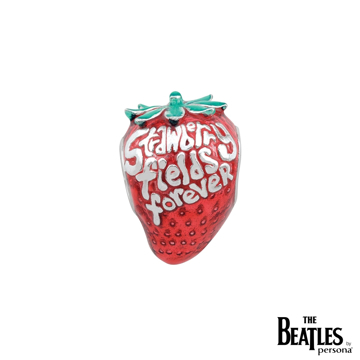 Let me take you down, because I'm going to Strawberry Fields…" one of the most well known and beloved Beatles song of all time, and now you can carry it with you always. This sterling silver and hand-painted enamel strawberry charm features the song title scrawled across in silver letters. Compatible with Pandora brand bracelets. Nostalgia personified. 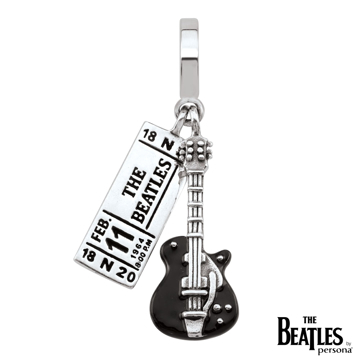 This rockin' charm features a sterling silver guitar and the replica of a ticket to a Beatles concert in Washington on Feb 11th, 1964. You can almost hear the music playing! Compatible with Pandora brand bracelets. Four sides - four faces. 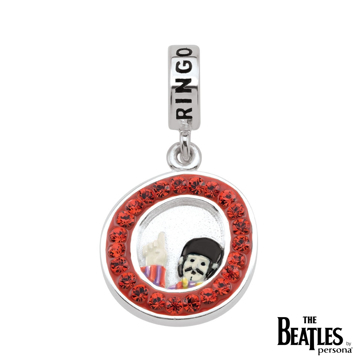 This sterling silver and hand-painted enamel The Beatles by Persona charm features the each of the faces of the Fab Four, no need to pick a favorite! 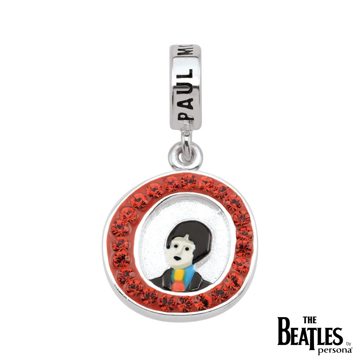 The charm features the face of Sir Paul McCartney, John Lennon, Ringo Starr, and George Harrison. Compatible with Pandora brand bracelets. The Beatles fifth studio album, released in 1965, HELP! had some of the most notable and beloved songs by The Beatles. Wear this sterling siver and hand painted enamel album charm featuring a detailed album art print with clear enamel overlay, as a moment of musical greatness. Compatible with Pandora brand bracelets. The Beatles single Hey Jude was released in August 1968 - the first single to be released from The Beatles record label - Apple Records. Wear this sterling siver and hand painted enamel album charm featuring a detailed album art print with clear enamel overlay, as a moment of musical greatness. Compatible with Pandora brand bracelets. 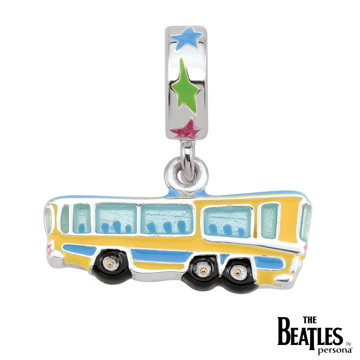 Bring some musical magic into your collection of jewelry with this playful sterling silver and hand painted enamel Magical Mystery Tour Bus charm - a perfect little replica of the icon representing The Beatles musical evolution. Compatible with Pandora brand bracelets. 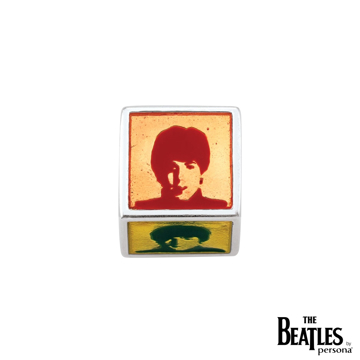 Show your love for Sir Paul McCartney with this sterling silver, Austrian crystal and hand painted enamel charm featuring whimsical imagery from the Yellow Submarine film. Compatible with Pandora brand bracelets. 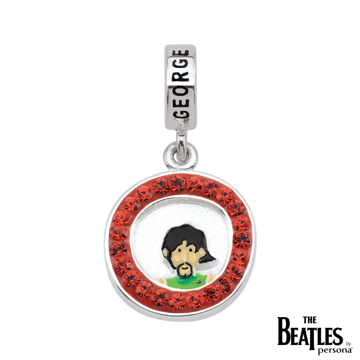 Show your love for Ringo Starr with this sterling silver, Austrian crystal and hand painted enamel charm featuring whimsical imagery from the Yellow Submarine film. Compatible with Pandora brand bracelets.